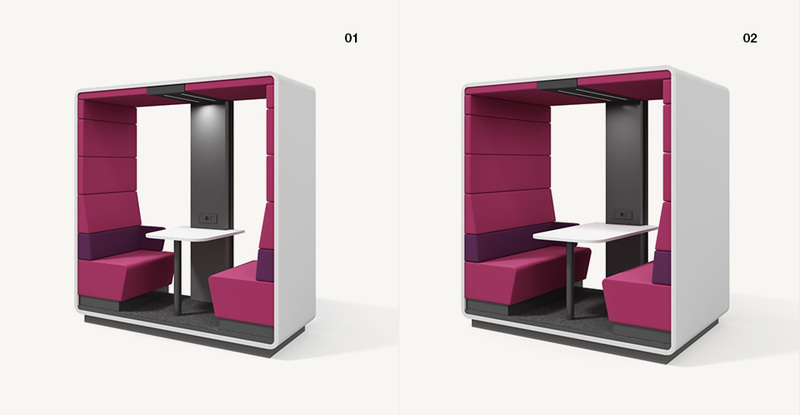 A compact box designed for informal meetings in the office. 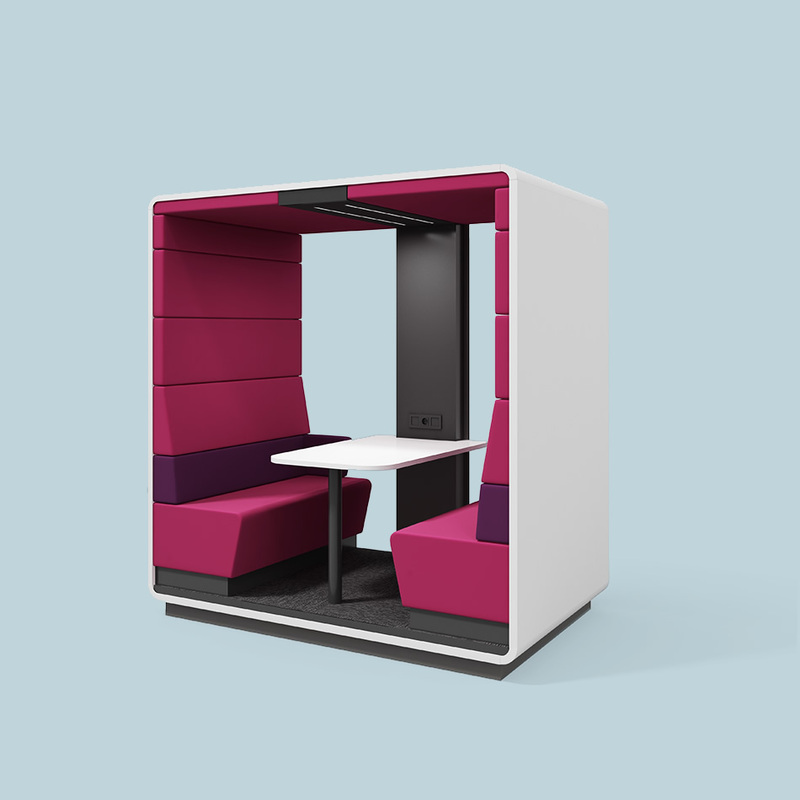 Spending time in Hush Meet Open is a great way of aiding creativity and new ideas. 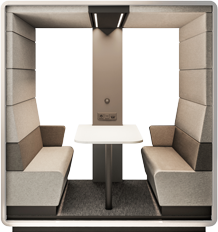 Hush Meet Open creates an independent space in the office, but is the only Hush product whose form is half-open. 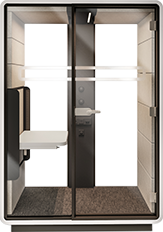 The lack of front glass panels and doors makes Hush Meet Open a casual, friendly space for everyone. 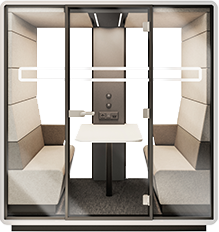 Modern offices are characterised by dynamicity and ever-changing needs. 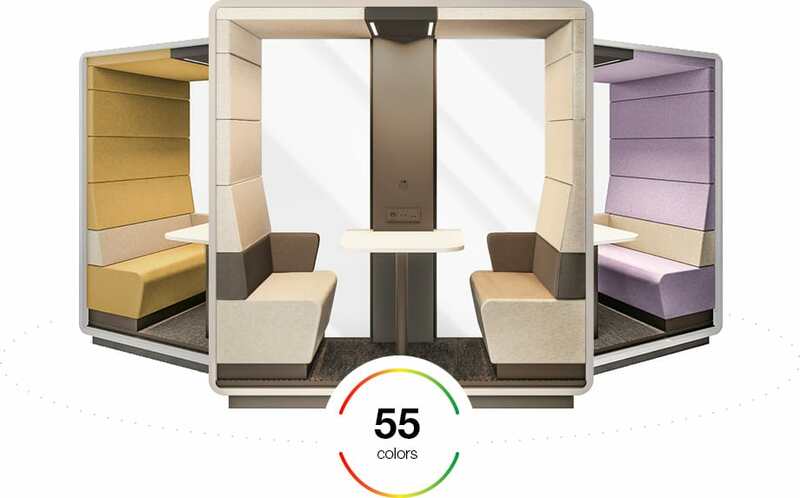 Instead of building a permanent office, it is better to use mobile solutions. 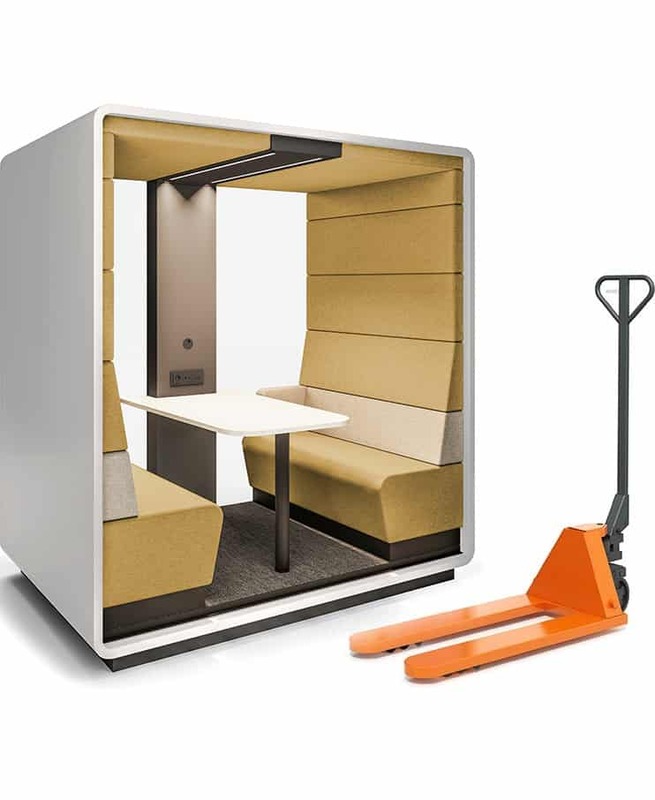 Owing to its structure, Hush Meet Open easily adapts itself to changing organisational needs and is available in the space where it is needed most. 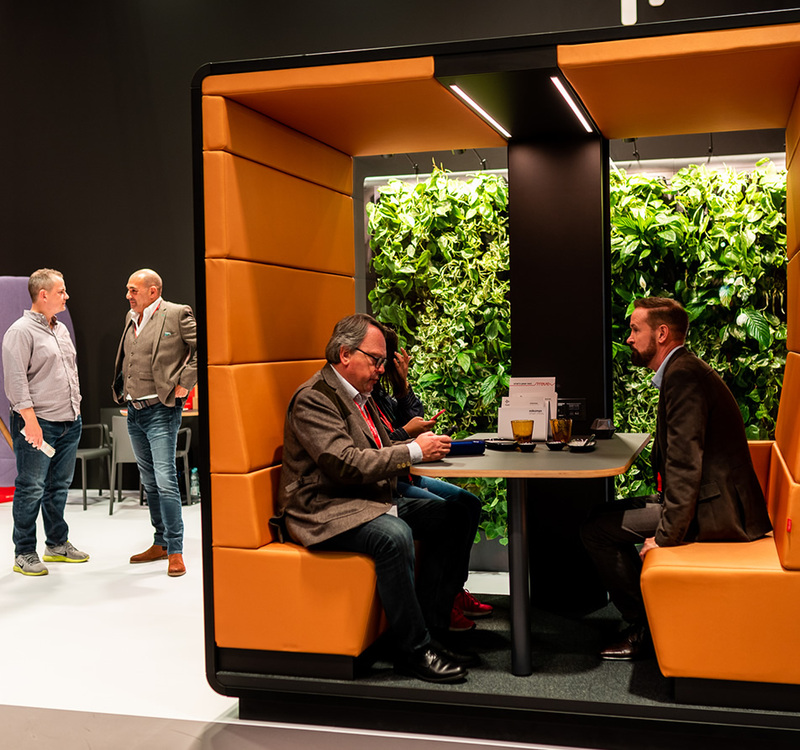 Colours are emotions, character and expression: this is why Hush Meet Open is available in 40 different interior colours! The cover is available in universal black and white, rendering it fit for any office.